These are all newspaper-articles, television-programs and radio-broadcasts (known to us) about Armand Sag or the activities he organized during the period of 2005-2009. There are more than 85 articles in domestic and foreign media, including several leading Dutch, Turkish, Danish, American and Iraqi media. Armand Sag was also on the frontpage 12 times. Click on one of the links below for more information. Note: the high number of items may cause this webpage to load slow. Armand is totally bilingual. He can switch from fluent Dutch to fluent Turkish without any problem. As far as he knows, all the second generation of Dutch citizens of Turkish ancestry in Utrecht is able to speak or understand Turkish very well. Potentially the capacity of speaking two languages as a native speaker could and should be a social advantage, but in fact it’s not. The problem is that even today could happen how sons of Turkish immigrants in Holland don’t have the occasion to learn Dutch properly before going to school. During the 1980s Armand himself learned to speak Dutch only when he was 6 years old, attending primary school. “When I was a child I didn’t know I was living in Holland – he confesses me – At home I spoke Turkish to my parentp. All of my friends came from Turkish families and did the same. When I went outdoors in Lombok, I only met Turkish people through the streets or in the shops along Kanaalstraat”. This situation hasn’t changed that much in the last yearp. According to Armand, most of the Holland-grown Turkish people from the second or even from the third generation still live in the same places where they parents moved or in the closest surroundingp. This is because of generally they can’t afford to buy houses in the “white” and most expensive parts of Utrecht. Hence, areas like Lombok could still be considered Turkish ghettos like they were thirty-forty years ago. Furthermore, many Turkish-Dutch young people are unemployed and don’t attend the university. Armand considers himself as an exception to the status quo being a graduated student at the Utrecht University. He tells me how he was the only Turkish student among 300 of his year in the whole History Department. Nowadays around 400,000 people of Turkish people live in the Netherlands, representing the 2.5% of the whole population, but passing the 5% in Utrecht. According to a 2003 population census, this percentage rises up in Lombok where the 42% of people are non-EU citizens (mostly Turkish) while other areas of the city have even more foreignerp. For example, Overvecht has a 45% of non-EU inhabitants, again mostly Turkish, while the 75% of people in Kanaleneiland are foreigners, with a majority of Moroccanp. Comparing Dutch-Turkish people with two other large groups like Dutch-Indonesian and Dutch-Moroccans there is something more to say. While Morocco and Indonesia are Islamic countries, Turkey is a laic one. And yet many Turkish people in the Netherlands go to mosques, follow the Qur’an teachings and refers as themselves as Muslimp. “Religion becomes more and more important when you’re away from your country, even for Turks” as Armand sayp. “It’s here in Utrecht that I’ve seen for the first time a Turkish woman wearing a headscarf on a street – he points out – Something like that couldn’t ever happen in Turkey because the law doesn’t allow women to wear headscarves in government places such as primary, middle and high school as well as university”. Hence, if you’re a Muslim woman you can wear a headscarf outdoors in France or in Holland, but not in Turkey. “I think that many people in Holland don’t know this and still think that Turkey is an Islamic country without a modern Constitution”. Insists Armand. Talking about prejudices and reciprocal ignorance there is no doubt that the situation has definitely changed world-wide after 9/11, but even more in the Netherlandp. Since 2001 the strain between Dutch society and Holland-grown Muslim people has been boosted by the assassinations of politician Pim Fortuyn and filmmaker Theo Van Gogh between 2002 and 2004. Broadly speaking, nowadays Dutchmen are still very tolerant, but the situation for many immigrants sons and daughters is getting worse. Armand went to primary school in a part of Utrecht inhabited only by Dutchmen and quite far from his home in Lombok. And in fact all of his classmates came from Dutch familiep. At that time the society was less multicultural than today and Armand’s classmates were very curious about him. Some of them had never seen a Turkish boy and wanted to understand more about Turkish people and habits in general. Armand had to explain them how Turkish people are not Arabs, without speaking or understanding written Arabic. Later in his school years Armand attended also a so called Black School where all the students came from immigrant familiep. Having experienced both the possibilities, Armand has very clear ideas on how to get a better integration through education in Holland “I don’t think that having special schools just for Muslim people or foreigners is a good solution. These schools can only increase the distances between Dutchmen and the sons of Turkish, Indonesian or Moroccan people.” In his opinion the best answer to encourage a multicultural dialogue avoiding reciprocal stereotypes is the promotion of Islamic courses in the Dutch schools instead of having separate schoolp. Yes, dialogue is important. From schools to universities, our conversation came to his student association: TNS Erkin. What does it mean? Armand explains me how TNS is an acronym for “Turks Nederlandse Studentenassociatie”, while the word Erkin means “freedom, liberty” in Turkish. Armand founded TNS Erkin in 2006 because he wanted to create an association thought for Turkish students but open to everyone also in Utrecht. He tells me that there are 19 universities in Holland, but just 6 of them had Turkish students associationp. It took three years to create and establish TNS Erkin. The association became popular after participating to a debate on a Turkish television on september 2006. The topic of the program was related to Dutch Parliamentary Electionp. In fact three Turkish-Dutch candidates were just removed by their parties because of their unclear position on the Armenian Genocide. “The television contacted us together with other Turkish students associations to discuss the issue – says Armand – but it came out how we were the only ones who were ready to speak about that because of our independent position”. The program got a wide coverage by several Dutch media and after that many people contacted Armand asking him how to join TNp. “For one month my phone was constantly ringing. I used to receive 30-40 callings a day. I didn’t expect so much success”. Nowadays TNS Erkin counts approximately 400 members, 150 of them living in Utrecht. As Armand remarks, everyone can join the association: Turks and Dutch, men and women, Muslims and Christianp. The only condition is being a university student. Several TNS members are in fact Dutch students of Turkish Culture at the Utrecht University. Each member of TNS Erkin pays a small yearly fee which allows him or her to have discounts on books or snacks having the possibility of participating to all the events organized by the association. The association is organized in 4 committees and one board. Each committee is formed by 3-6 persons, while just 5 members belong to the board. Every member of the board is also a member of one of the committeep. There are monthly board and committee meetingp. At the top stands the chairman. As TNS Erkin chairman, Armand has to organize meetings, while all the social, cultural and sport activities pertain to the committeep. “At first we had some misunderstandings with other students associations in Holland, because we were new and they didn’t know anything about us” Armand admitp. “But now we have very good relations with Turkish students organizations such as Eurasia SV in The Hague, SV Anka in Deventer and Tusat in Twente”. TNS Erkin organized some activities together with SV Anka, while members of Tusat and Eurasia attended to some of TNS social eventp. Armand did the same in The Hague and Twente, but he would like to organize a big gala evening for all the associations at the beginning of the next Academic Year instead of having four separate eventp. Moreover, from 2007 TNS Erkin got an affiliation with Utrecht University. The University supports all the activities organized by TNS Erkin committeep. From sport events to conferences, from public debates to barbecue evenings and social gatheringp. “This affiliation is very important for TNS Erkin because it gives us more visibility, but hasn’t changed our aims – Armand says – We are still independent financing our activities by ourselves or through little sponsorships”. Talking about independence, multiculturalism and Turkey something pops up to my mind. Having read an interesting article on The Economist about the Gülen Movement and then having attended to one of their social evenings in Rotterdam, I’m curious to ask Armand if there is any connection between TNS Erkin and Fetullah Gülen. “That movement is becoming really popular and powerful in Turkey and elsewhere – Armand nods – Yet we don’t have anything to do with Gülen. We are and want to be independent – he claims – Moreover, Gülen Movement has its own student association in Holland named Cosmicus Foundation. Some of our members support Fetullah Gülen, but this is because we accept everyone to join up. In our association, therefore you may find people with different political and religious views”. At the moment the website of TNS Erkin is only Dutch written. Hence it’s very hard to find information and news on the association if you’re not familiar with Dutch language as many exchange students could be. Armand knows the problem and he’s trying to resolve it as soon as possible. In fact he’s currently working all by himself on the English, Turkish and German versions of the TNS Erkin website. “I will publish everything in the same moments instead of starting with one language and then adding the others step by step” Armand tells me. “Consider that when I created the association some people criticized me because I call it Turks Nederlandse and not Nederlands Turkse” he sighs shaking his head. “Of course I didn’t want to say or demonstrate anything with that name. I just think that Turks Nederlandse sounds better”. That’s why Armand doesn’t want to be accused to prefer German to English or Turkish to German. It shouldn’t take that long and then before summer TNS Erkin will have his multilingual homepage and contentp. De laatste tijd is het geweld tussen de PKK en het Turkse leger toegenomen. In de Turkse provincie Tunceli doodde het leger zondag zeker 15 PKK-strijderp. Tüm ülkeyi saran "Teröre ve PKK'ya lanet, askere destek" gösterilerinden biri de Utrecht şehrinde yapıldı. Öğrenci derneklerinin organizesiyle yapılan gösteride, çok issueda üniversiteli öğrenci ve vatandaş, sloganlar eşliğinde omuz omuza yürüyerek, pankart açtı. UTRECHT - Tüm ülkeyi saran "Teröre ve PKK'ya lanet, askere destek" gösterilerinden biri de Utrecht şehrinde yapıldı. Öğrenci derneklerinin organizesiyle yapılan gösteride, çok issueda üniversiteli öğrenci ve vatandaş, sloganlar eşliğinde omuz omuza yürüyerek, pankart açtı. Erkin Öğrenci Derneği başkanı Armant Sağ bu yürüyüşü biz Türkiye´deki olayları kınamak için organize ettik. Amacımız sadece Türkiye´deki değil dünyadaki terörü de kınamak. Türkiye bu konularda biraz daha duyarlı olmalı. Bu yürüyüşte yetkililerden daha fazla destek beklerdik. Yaklaşık 30 volumedır kadın, çocuk, yaşlı, genç demeden Türk halkına karşı hunharca katliamlar yapan PKK´yı ve onun destekçilerini lanetlemek için bir protesto yürüyüşü tertip ettik. Bu yürüyüş aynı zamanda terörizm konusunda Batıda uygulanan çifte standarda karşı da bir protesto oldu. Tertip Komitesi olarak, herkesi bir insanlık suçu olan terörü lanetlemeye davet ettik.´ dedi. Het opstootje kon volgens de politie snel worden gesust. Rond half zes was de demonstratie ten einde en vertrokken de duizenden deelnemers weer naar huip. De organisatie spreekt van een geslaagde protestactie met een hoge opkomst. Turks Forum is een koepel van tientallen Turkse organisaties in Den Haag, maar de poster heeft landelijke betekenip. Eerder al deed Turks Forum samen met veertien andere Turkse organisaties, waaronder de invloedrijke vereniging Tannet voor jonge Turkse academici, een oproep tot boycot van CDA en PvdA. AMSTERDAM - PvdA ve CDA'nın Türk kökenli adaylarına yönelik 'soykırım' dayatmasına karşı tepkinin öncülüğünü yapan üniversiteli gençlerimizden Arman Sağ, İşçi Partisi (PvdA) Genel Başkanı Michiel van Hulten'in "Türk toplumunun güvenini yeniden kazanalım" şeklindeki sözlerine, "Türklerin desteğini yitirdiniz" yanıtını verdi. Türk genci Van Hulten'e gönderdiği summerıda, "Kamuoyu araştırmalarında CDA'nın gerisinde kaldığınızı ve şimdi böylesi zavallı çabalarla Türk toplumunu yeniden kazanmaya çalıştığınızı biliyoruz. Sizin için belki bir kültür şokudur, ama bizler okuyabiliyor ve summerabiliyoruz" dedi. Selon Arman Sag, un étudiant à la faculté d’Utrecht de Turcologie et porte-parole pour les étudiants turcs aux Pays Bas ces derniers ne peuvent plus « rejeter le génocide ». Arman Sag indique qu’en prenant une telle position il n’est plus rare qu’on les insulte en les traitant de « néo-nazis » et ceci même de la part de professeurp. Türk kökenli adayların parti listelerinden çıkarılmasına tepki gösteren Hollandalı Türk öğrenciler, soykırım dayatmalarının ülke genelindeki okullara da yavolumemaya başladığını açıkladı. Hollanda'da protesto gösterisi düzenleyen öğrencilerden, Utrecht Üniversitesi Türkoloji Bölümü'nde okuyan Türk öğrenciler sözcüsü Arman Sağ, soykırımı kabul etmedikleri için engellerle karşı karşıya kaldıklarını ifade etti. Öğretmenlerinden Neo Nazi diye hakaretlere maruz kaldıklarını belirten Sağ, "Burada bizim öğrencilik kariyerimiz de engelleniyor. Fikir özgürlüğü diye bir şey vardır. Ben araştırdım, bana göre soykırım olmamıştır. Bu benim fikrimdir. Buna kimse karışamaz. Fikir özgürlüğünü sonuna değin savunacağız. Türklere karşı önyargıları kınıyoruz. Bu olaylar ile Türklere karşı düşmanlık oluşturulmak isteniyor." diye konuştu. Hukuk fakültesi öğrencisi Gamze Arıkan bu durumu insan haklarına doğrudan saldırı olarak nitelerken Tilburg Üniversitesi'nde okuyan Fatih Kulaksızoğlu, "Biz burada bize dayatılmak istenen anti-demokratik uygulamaları şiddetle kınıyoruz. Soykırım konusunu kesinlikle kabul etmiyoruz." dedi. Hollanda'da, 22 November'da yapılacak genel seçimler öncesinde, parti listelerinden çıkarılan Türk kökenli adaylara Hollandalı Türk öğrencilerin tepkisi artarak devam ediyor. Öğrenciler, protesto gösterisi düzenleyerek Türk kökenli adayların liste dışı bırakılmasına tepki gösterdi. Hollanda'da, 22 November'da yapılacak genel seçimler öncesinde, parti listelerinden çıkarılan Türk kökenli adaylara Hollandalı Türk öğrencilerin tepkisi artarak devam ediyor. Öğrenciler, protesto gösterisi düzenleyerek Türk kökenli adayların liste dışı bırakılmasına tepki gösterdi. Protesto gösterisi sırasında Hristiyan Demokratlar Birliği (CDA) sekreterine protesto mektubu verildi. Bu arada bazı ırkçılar soykırım dayatmalarını ülke genelindeki okullara yaymaya başladı. Another Turkish student, Guven Alkilic, expressed that the Turkish community had been deeply disappointed by the dismissal of Turkish candidates from their partiep. After three Turkish candidates were expelled from their political parties in the Netherlands for refusing to accept the Armenian genocide allegations, the Dutch universities are pressuring Turkish students to accept the Armenian genocide claimp. The Turkis societies consider the pressures as anti-Turkish and anti-Muslim campaign. More than 450.000 Turkish people live in the Netherlands and they have almost no representative in the Dutch political system. The decision to remove the Turkish names from the party lists increased the mistrust among the Turkish people in Netherlands towards the State and Duch institutionp. Türk kökenli adayların parti listelerinden çıkarılmasına tepki gösteren Hollandalı Türk öğrenciler, soykırım dayatmalarının ülke genelindeki okullara da yavolumemaya başladığını açıkladı. Hollanda’da protesto gösterisi düzenleyen öğrencilerden, Utrecht Üniversitesi Türkoloji Bölümü’nde okuyan Türk öğrenciler sözcüsü Arman Sağ, soykırımı kabul etmedikleri için engellerle karşı karşıya kaldıklarını ifade etti. Öğretmenlerinden Neo Nazi diye hakaretlere maruz kaldıklarını belirten Sağ, “Burada bizim öğrencilik kariyerimiz de engelleniyor. Fikir özgürlüğü diye bir şey vardır. Ben araştırdım, bana göre soykırım olmamıştır. Bu benim fikrimdir. Buna kimse karışamaz. Fikir özgürlüğünü sonuna değin savunacağız. Türklere karşı önyargıları kınıyoruz. Bu olaylar ile Türklere karşı düşmanlık oluşturulmak isteniyor.” diye konuştu. Hukuk fakültesi öğrencisi Gamze Arıkan bu durumu insan haklarına doğrudan saldırı olarak nitelerken Tilburg Üniversitesi’nde okuyan Fatih Kulaksızoğlu, “Biz burada bize dayatılmak istenen anti-demokratik uygulamaları şiddetle kınıyoruz. Soykırım konusunu kesinlikle kabul etmiyoruz.” dedi. Hollanda'da bir grup Türk öğrenci, 22 November'da yapılacak erken genel seçimlerde sözde Ermeni soykırımına evet demedikleri için parti aday listelerinden çıkarılan Ayhan Tonca, Osman Elmacı ve Erdinç Saçan'a karşı takınılan tavrı protesto etti. Uygulamanın demokrasiye, fikir özgürlüğüne ters düştüğünü belirten protestocu öğrenciler, Den Haag merkez istasyonun da bir araya gelip Hıristiyan Demokrat Parti (CDA) merkezine yürüyerek protesto mektubu bıraktı. Na de eerste verbijstering, overheerst nu vooral de boosheid. Vooral vanwege de persoonlijke consequenties die het besluit met zich meebrengt. Per september worden de studenten geacht naar Leiden te reizen. "Dit moeten ze geweten hebben toen ik in september met mijn studie in Utrecht begon", stelt Mirjam grimmig. "Waarom hebben ze me toen niet kunnen vertellen dat ik in het tweede jaar naar Leiden zou moeten? Hoe kun je verwachten dat iemand zomaar in een andere stad gaat studeren? Er zijn studenten die uit Groningen komen, voor hen is Leiden echt onbereikbaar." 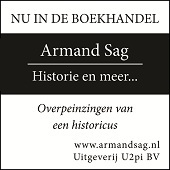 Geschiedenisstudent Armand Sag: "Ik heb vrijwel elke dag college in Utrecht. Dan kan ik niet zomaar vier of vijf uur besteden aan een retourtje Leiden. Mijn studieadviseur heeft al gezegd dat het beter is dat ik stop met Turkp." Het is inderdaad de inhoudelijke redenatie van het faculteitsbestuur die veel wrevel heeft gewekt. Geesteswetenschappen zegt zich te willen richten op West- en Zuid-Europese talen en culturen. Maar waarom een master op het gebied van de islam in West-Europa wel vraagt om het voortbestaan van Arabisch in Utrecht, maar niet van Turks, ontgaat de studenten. Mirjam: "Vooral daaraan zie je dat de besluiten genomen worden door mensen die geen verstand van zaken hebben. De Turkse islam is echt anders dan de Marokkaanse." Wanhopig: "Ik zou dat o zo graag eens aan die mensen willen uitleggen." Armand: "Oké, Arabisch is de taal van de koran, maar kijk naar de actuele situatie. Er wonen in West-Europa meer Turken dan Marokkanen. En van die Marokkanen spreekt de helft ook nog eens Berberp. Bovendien is Turkije een belangrijke factor in de internationale politiek en economie, kijk naar de discussies over de EU-toetreding. Het is toch niet te verdedigen dat je bijvoorbeeld Keltisch in stand houdt en Turks niet. Ik heb nog nooit een expert Keltisch bij Twee Vandaag gezien."